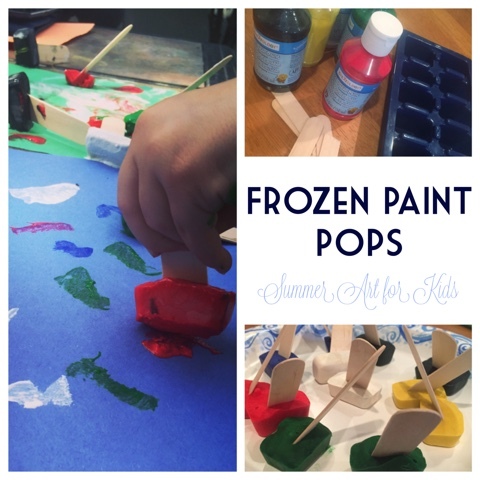 This summer we are doing themed weeks similar to a summer camp at home. This week is color week! My 2 year old still doesn’t know her colors despite my best efforts..so we are spending the whole week focusing on them! 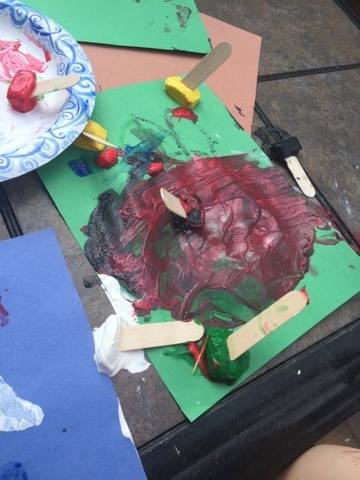 To keep my 4 year old engaged we are discussing primary and secondary colors and the always-fun, color mixing. 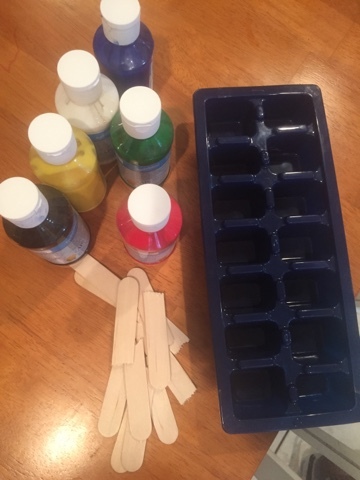 Once you have gathered your supplies, simply squirt some paint into the ice cube tray, break the sticks in half, and put them into the paint…that’s it! To make your paint go further you can water it down. 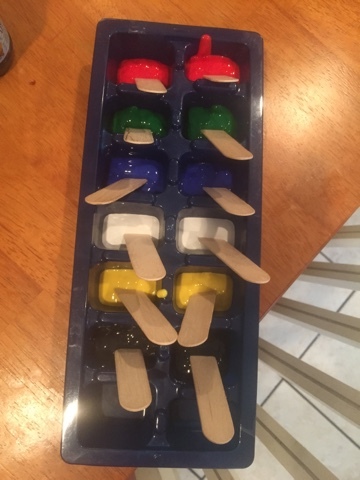 You can also make this a little extra fun by using different shaped silicone ice cube trays to fit in with any theme. Pop these guys in the freezer and let them freeze overnight. 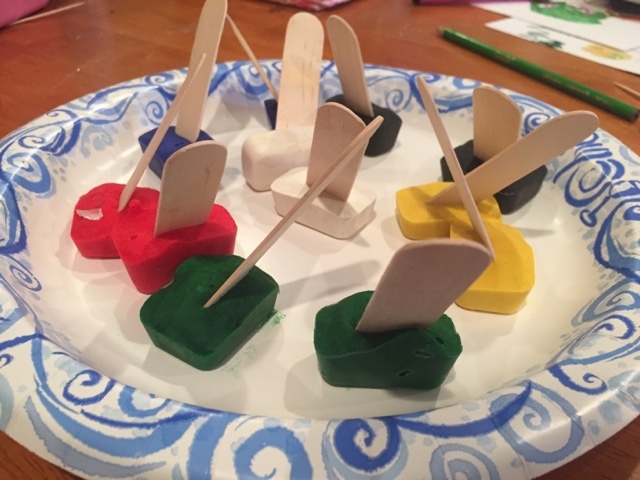 The jumbo craft sticks are really easy to hold and make the pop incredibly easy to manipulate and paint with, it’s a bit easier to paint with than a paintbrush for my little one…although she is a lover of any vessel that spreads paint or makes a mess. 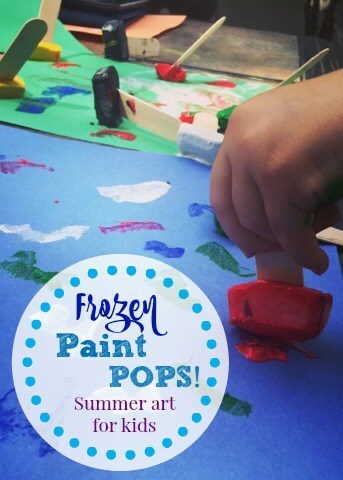 Try these this summer, or as an indoor boredom buster, your kids will love them!